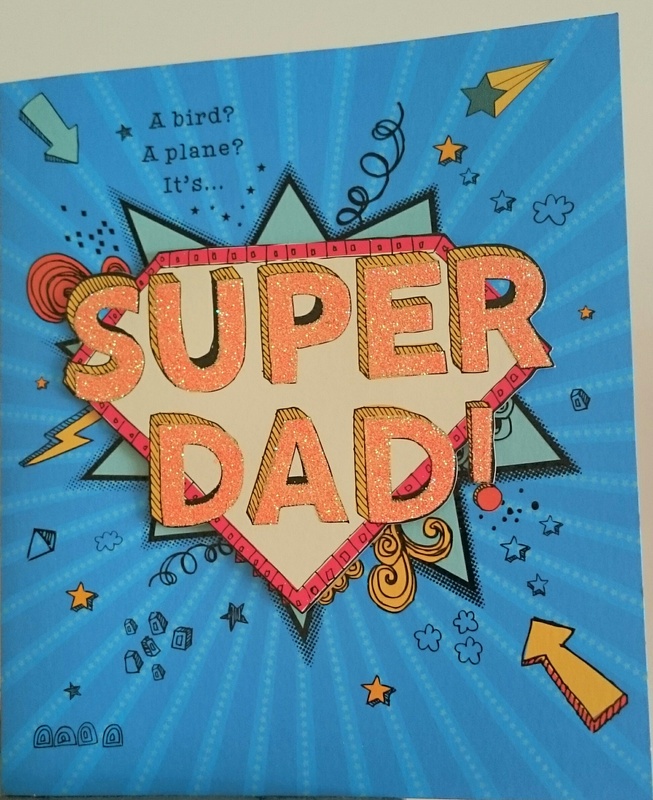 It’s Fathers day today and time to spoil Daddy and show him how much we all love him. We do this every day of the week anyway but, convention dictates that you must buy a card on this one day of the year! We’re taking Daddy on a surprise day out as chosen by the boys. They are going through an obsession with steam trains and love the local narrow gauge railway so of course have chosen that as their destination. I’ve written about it before here as we go quite frequently. The boys have been working hard and have made their own cards for Daddy. 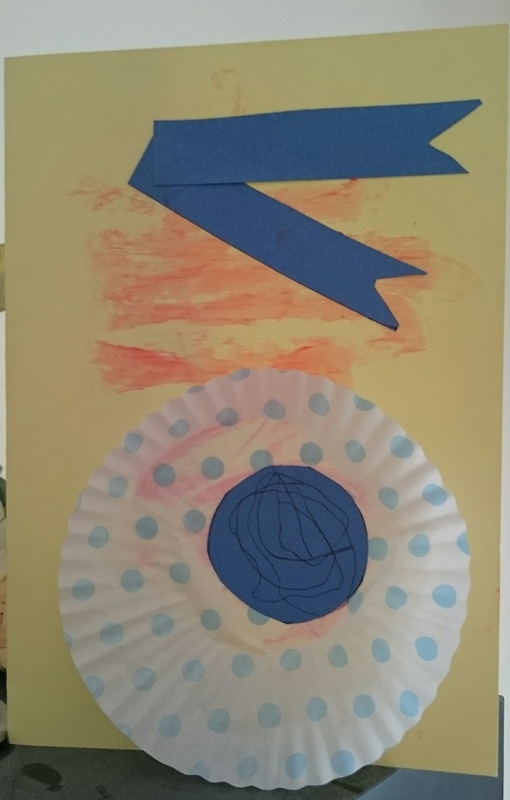 They are so proud of their cards that the eldest asked if I could “show the world” his card on my blog! 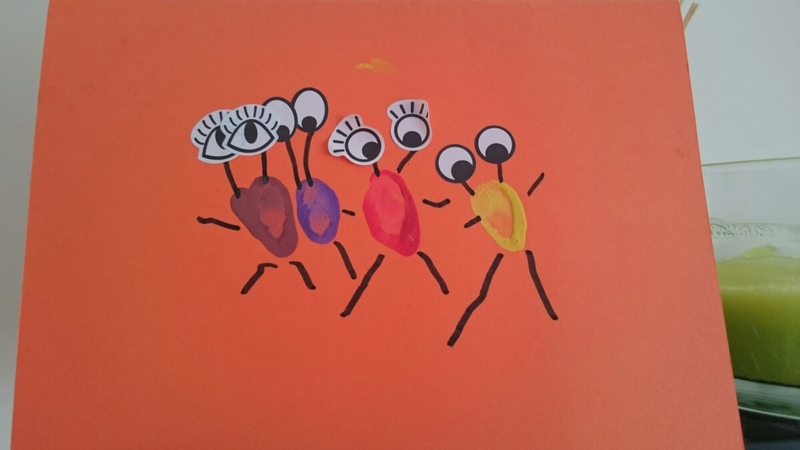 An alien family from B. The girls are far too small to be doing crafts and I quite honestly can’t deal with the mess so they had to make do with a shop bought card. It’s very true though and sums up how we all feel about him. He really is our superhero! Aw, super cute! I don’t blame you- save the crafting until you’re forced too. Especially with so many littles around!